The world has changed and the corporate giants have evolved. To survive as a bricks and mortar company there is no question that your online presence is the key to future growth. There are two main components to online growth, Brand Positioning and Online Marketing. Your business most likely has fierce competitors and you need to start with differentiating yourself, from them. 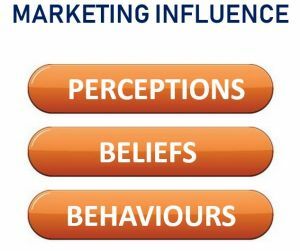 You need to begin by influencing consumers decisions, behaviours and beliefs, before the purchase is made. You must create a compelling brand, to building trust in the market place. Most businesses marketing objectives will fall into one of two categories, displace the leading competitors, or create a new category to set you apart, the latter known as disruptive positioning. The ultimate goal is to guide the consumer to believe that your products is the best choice, through past experience, education or external marketing influences. By changing the consumer perceptions intentionally or accidentally, add up to influence. The objective of marketing is to directly influence your audience to favour your brand, or to creating doubt or dissatisfaction in your competitor’s brand. Ask yourself this, why was Volvo considered to be the safest car for families long before the invention of air bag systems? It’s because safety was their Brand Positioning. They influenced the consumers beliefs through clear Marketing Campaigns to build their reputation in the 1970’s. They did this through introducing child seats… cars and child seats are very different products, but Volvo positioned their cars to be the safest car for families through cleverly marketing child seats, which helped to sell more cars. They sold the benefits of the features, not the car. All businesses, bricks and mortar, or online e-commerce, need to position their products as the best choice by influencing perceptions and changing beliefs to control their purchasing behaviour. The goal of any e-commerce business is to obtain new customers and keep old customers coming back. 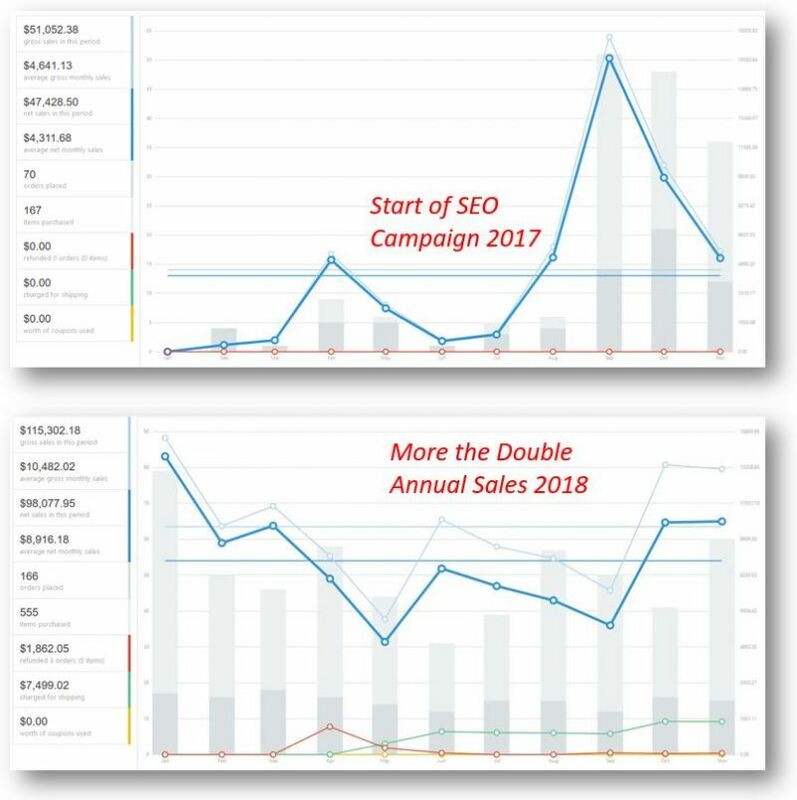 Google Organic Traffic is the highest ROI for any business looking to spend marketing dollars. Google Organic Traffic is non paid advertising, on Page 1 of Google. No one is using the Yellow Pages book anymore, everyone is using their computers and smart phones. Google is the number 1 search engine with 3.5 billion searches every day. The reason you have to be on page 1 of Google is 98% of all users never go to page 2. The next big player is Facebook, but it doesn’t have organic ranking. So how do you get in front of the 670 million users every day? Facebook advertising is incredibly inexpensive and incredibly targeted. They can find the 45 year old man, that likes golfing in some town in Idaho and send him the perfect Advertising right to his phone. His neighbour that doesn’t like golf will not see your Ad. How do we leverage Google and Facebook? We have studied the Google patents for over 10 years. We know the 200 ranking signals that Google publishes and we optimize for these 200, plus another 300 non publicized ranking features. Like all professionals we have the right tools for the job, allowing us to automate the analysis of these 500 ranking signals. 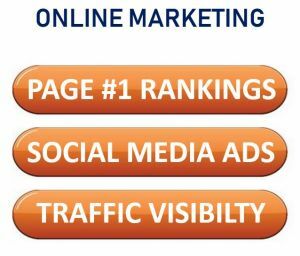 We bring your business more visibility thru Search Engine Rankings and Social Media Advertising. You can’t sell anything if no one can find you online. From a marketing stand point, you have to do something different, to get different results. The best way to predict your business future is to create it. VY Web Design works with established businesses that want to grow their business. We now choose these businesses based on a set of business qualities that fit our online marketing success model. The following is a questionnaire to see if your business qualifies for our services. Unfortunately we cannot work with every business that inquires. We will contact you if your business model is the correct fit for our E-commerce Consultation Service. Your information is 100% private and will not be shared with anyone. Your information 100% privacy secure and is never shared. This client will have 28X return on their investment in the first year.